Trick or treat? That’s the common question. Although most people are privy to lending the latter, The Semi-Supervillains are unfolding the former. Although I previously described them as “a goodie bag of musical candy that you can’t help but crave,” the double-dealing mischief-makers are changing it up with chicanery. These miscreant music-makers have something up their sleeve. 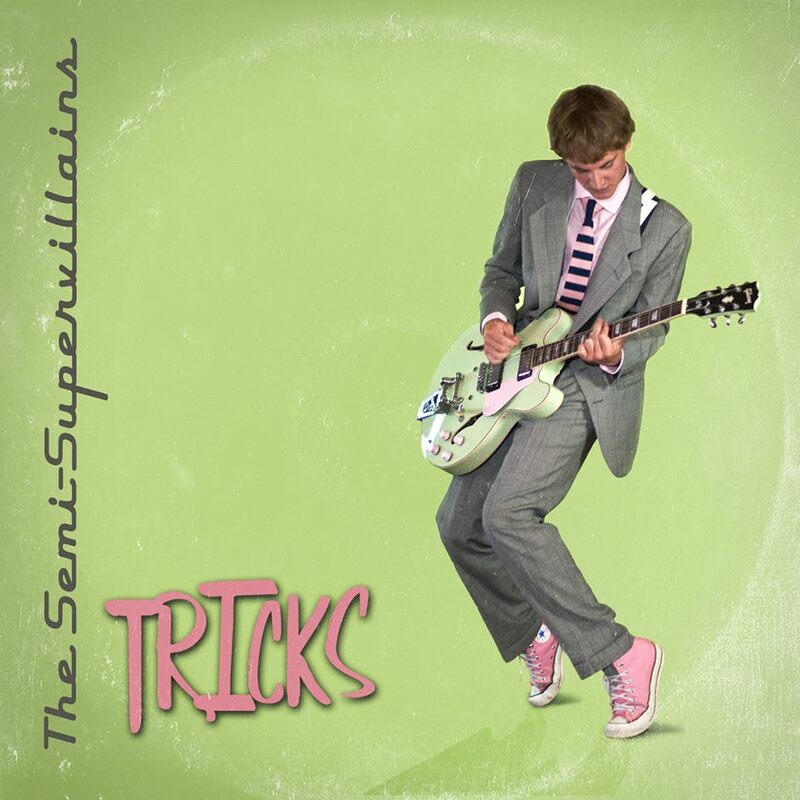 The Semi-Supervillains are releasing their debut studio album, “Tricks,” on September 30th. From Pittsburgh, Pennsylvania, the band – Vinnie Longhi – Guitar/Vocals, Ron Rekowski- Bass/Vocals, Cory Caruso/Jake Locke/John Pennacchio- Drums, Kyle Yoho- Guitar/Vocals prove that they still have the “Magic Touch.” Influenced by and “taking instrumental cues from the classic monsters,” despite what their album title suggests, the band isn’t just an illusion, they aren’t a horror hoax. In fact, there isn’t much that is deluded or deceptive or decoy about them – their songs aren’t buried by voids or vagueness, you don’t have to dig too deep to find the demons. There’s no con in lyrics like, “You ripped my heart out so casually.” There’s no fraud in the song Learned My Lesson where they sing, “Just don’t be another cliche.” There’s no bluff in admitting, “I fought fire with paper,” as they do in Fool For You. Produced and recorded by Rick Witkowski at Studio L in Weirton, cover by Pierce Marratto-Touchfaster, “Tricks” is completely credible and actually authentic. Although it’s an artifice title, there’s no kind of machination about their music. “Tricks” is 11 tracks of pure treat! With upcoming shows September 21st at Duquesne University, September 28th at the Thunderbird Cafe, October 5th at The Rex Theater and their cd release show at Club Cafe on October 11th, the only trick is on you, if you don’t go see them. The Semi-Supervillains certainly know how to spin their own web, and that’s something I’d like to get stuck in!